The longstanding standard of what constitutes bad faith in Florida was determined by the Florida Supreme Court almost 40 years ago. The Court determined that an insurer has a duty to use the same degree of care and diligence as someone “of ordinary care and prudence.” Insurers must investigate the facts, give fair consideration to settlement offers and–where a reasonably prudent person would–pay total recovery. However, two recent appellate decisions have made some important changes to what constitutes a bad faith insurance claim in the context of third-party liability claims, as we discuss below. The first of those decisions—by the Eleventh Circuit—upheld a lower court decision finding that Geico deciding to offer settlement limits twenty days from the first notice of the claim was not done in good faith as a matter of law. 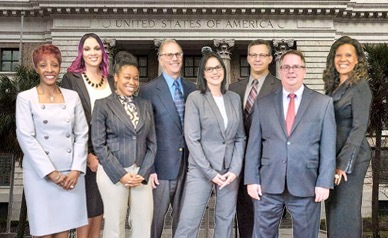 The court ultimately upheld the jury verdict in favor of plaintiffs, finding that the jury was reasonable and had enough evidence to conclude that Geico had acted in bad faith. Two months later, the Florida Supreme Court found that there was substantial evidence to support a jury’s finding that Geico had, once again, acted in bad faith in failing to settle a claim against its insured, stating that an insurer is not absolved of liability simply because it advises its insured of the possibility of an excess judgment, the probable outcome of litigation, and settlement opportunities. According to the Court, what matters is whether the insurer “diligently” worked on the insured’s behalf to avoid excess judgment—with the same haste and precision as if it were the insured. 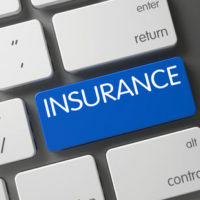 In addition, in cases where liability is “clear” and injuries so serious that an excess judgment is likely, because the financial exposure to the insured is a “ticking financial time bomb” and a lawsuit could be filed at any moment, insurance companies must not engage in any delay in making an offer—even when there is no assurance that the claim could be settled. In this case, a significant factor—to the majority—was that Geico arguably introduced delay in failing to inform counsel of a number of things; even though it tendered policy limits within nine days of the accident; because it knew that the claimant had demanded a statement from the insured early on regarding assets and other insurance. Insurance companies not only have a duty to their insureds, but a duty to thoroughly investigate all claims and pay out benefits only where coverage and liability are clear. HD Law Partners represents insurance carriers in good faith disputes here in Florida, and provides the very best in defense of bad faith claims. Contact us today to find out more.